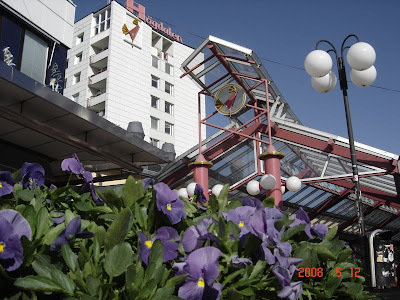 Högdalen has a neon rooster overlooking its shopping center. In fact, it appears twice in this photo. Can you spot it?